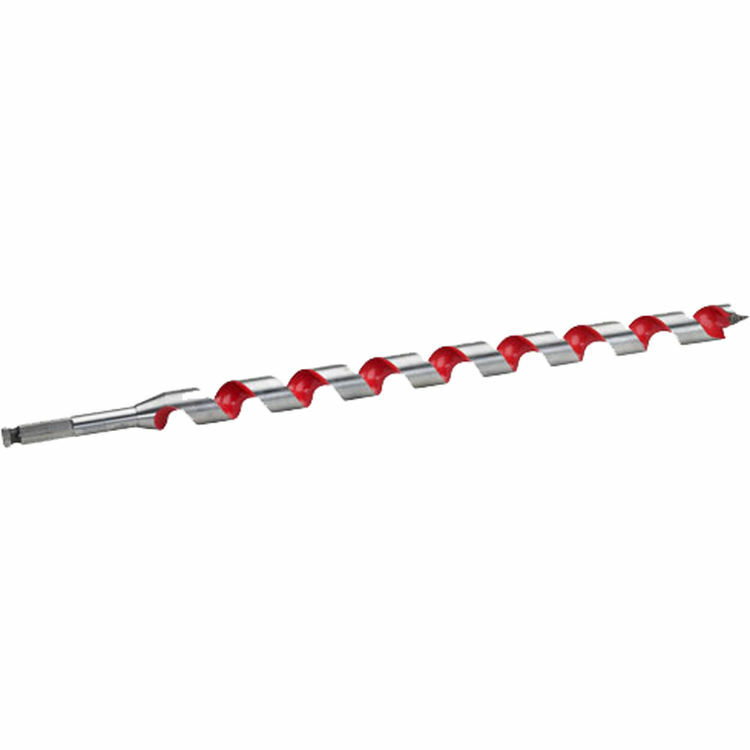 The Milwaukee 48-13-5560 model 9/16" X 18" Ship Auger Bit is a part of the Drill Bits Series. This comes with a 9/16" X 18" drill bit. This auger bit gives you a new through center cutting design for improved life in nail-imbedded wood. The flutes are coated, offering you a non-stick surface for fast and smooth chip ejection. The shanks are also impact rated for added durability and versatility, no matter the job. Shipping Dimensions 1.2" x 1.2" x 19.3"